Calling all students! 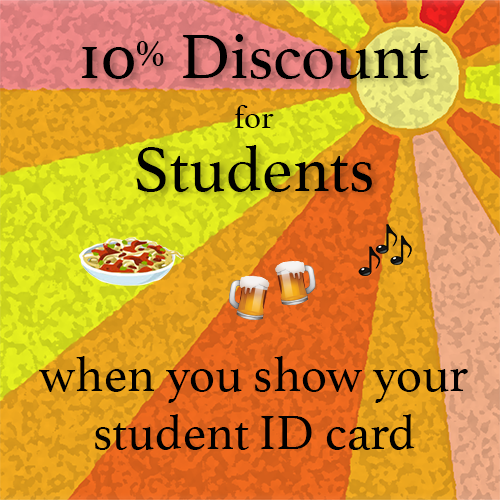 Receive 10% off* your food and drinks bill when you show your student card to the bar staff! For more information about this and all our events at the Bar & Kitchen, please visit our Facebook page by clicking here.